Turn a patio into a private courtyard by turning your concrete blocks side on, and allowing the light and air to pass through. Flower beds can be made more interesting in several ways: by raising them into stepped beds then building them up with sand and soil to create a contoured garden or by placing the blocks side on and using the holes for individual “plant pots” around the edges of the garden bed. Creating strong, easy to build stairs or with the help of some sand, a ramp for easy access to a higher area. A miniature castle complete with battlements for your young marauders & defenders. A cheap but strong wine rack which, depending on how the blocks are placed, can be both interesting and space-saving. A pillar on which to put the speakers of a sound system. Glued together end-on and painted or rendered in a nice bright colour, not only can bessa blocks make a good sound system better, but the holes also provide a great place to store CDs. Build a wall with random placing of up-side-down capping blocks at right angles to the course, so that half of it sticks out. This makes a great cavity to put hanging plants or strawberries. You can then render the finished wall with textured render or a bagged effect and you have privacy without having to stare at a blank wall. Using some sand and concrete blocks, you can make a stand for your water-tank at the perfect height for a bucket to be placed underneath. A bird nesting box. 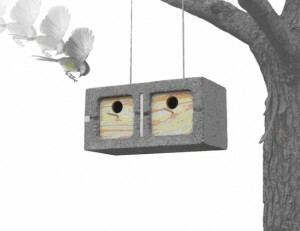 It’s true, we saw a concrete Bessa block suspended in a tree from galvanised wire or chain with two little wooden faceplates, each with a hole and a peg for a perch and a solid wood back-plate. A base for a gym. We came across a man who had made his own bench-press out of Bessa blocks. It was built to his height and was therefore more useful and cheaper than a bought one. One amazing person had created a wall that looks like a quilt by painting or rendering one face of each block with intricate patterns and then placing the concrete blocks vertically and horizontally in a herringbone pattern. 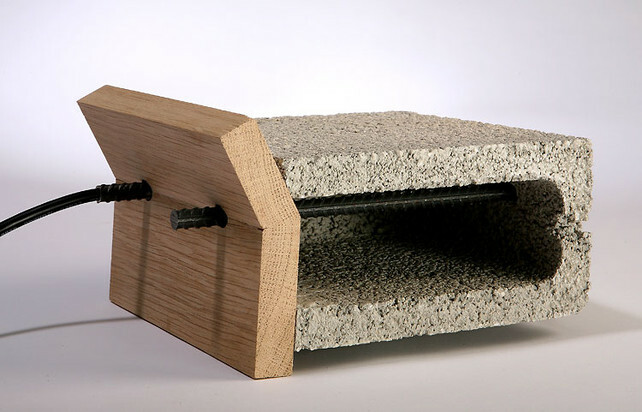 The craziest of all applications for a cinder block was the toaster… yep, someone actually drilled a couple of holes to insert an element at the top of a one-hole block and then plugged it in and called it a toaster. We suggest you don’t try this last one at home, but it does show that how you choose to use concrete blocks is only limited by your imagination! Who says landscaping supplies cannot be innovative?